Ashley St. Helens can't go to the prom. She says there's too much work to do, and her stepfamily is less than helpful, but the real problem is much bigger: size thirteen. How to find shoes to fit these pontoons? These giant sleds? These cricket bats with bangers on the ends? How does a high school senior find self-esteem when she’s at the bottom of the heap, much less true love? Ten years later, Ashley tells the story of her "fairytale reality" to some artists who will make it into a Cinderella-themed musical. She sets the stage with how she lost both parents, and shows how she coped with her sadness by cleaning house for her blithe and self-centered stepfamily. When a beloved figure from her former life emerges, she is reunited with her essence. Her long-lost godfather, Harold B. Carrington, Esq, is a human rights lawyer. (On Sundays he dresses up and becomes Carrie D'aweigh, which qualifies him for being her godmother, too.) Harry is the first person in years to take her side, and he helps her to take steps towards do that for herself. He encourages her to get in touch with and express her feelings, and helps her find her way to her once-in-a-lifetime senior prom. How her beautiful transformational wardrobe appears is the sort of everyday magic that real life provides when love and imagination are present. This 21st century version of Cinderella by an experienced writer on self-esteem and parenting embraces the mixed-up, blended family of today, providing insight into LBGT relatives, environmental dangers, the soul-sucking seduction of materialism, and the struggle for self-esteem that so many teenage girls experience. But far from being a parody, this "fractured fairytale" is a satisfying love story in many dimensions. This novella is based on a musical of the same name. 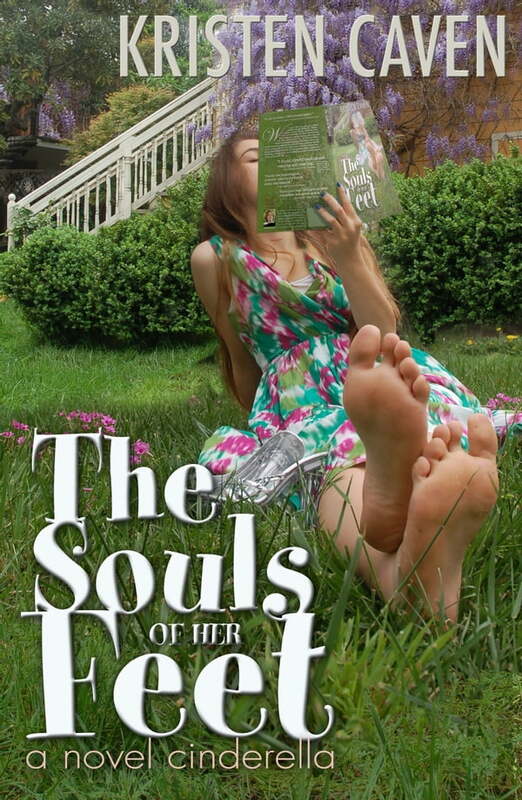 "The Souls of Her Feet" is the first story in a trilogy about three college girlfriends with princess-like problems. An interactive version of this novella, subtitled "a musical cinderella," can be purchased and read using the latest version of iBooks. That version contains pop-up images, music, and video, plus an engaging subplot revealed through email exchanges between the characters, that explores the madness of creative collaboration and blurs the lines between fiction and reality.